HP Slate 7 Extreme and Slate 8 Pro powered by NVIDIA Tegra 4 are announced officially. The specs of both the tablets are quite impressive. Both the tablets runs on Android operating system. The Slate 7 Extreme comes with 7 inch HD display, whereas the Slate 8 Pro comes with 8 inch capacitive touch screen display. 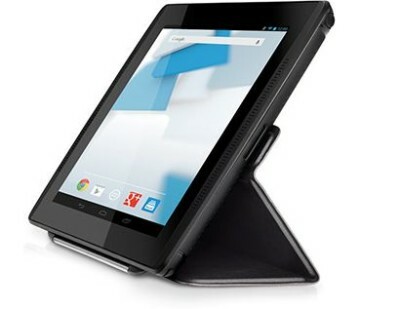 Nvidia’s Tegra 4 Cortex A-15 processor with 72-core GeForce GPU makes both the Tabs as Rival of Nexus 7 2013. HP has included many apps to make the devices more approachable. Although the company has not enclosed any details on the pricing. The Slate7 comes with NVIDIA Pure-Audio technology integrated on Front facing speakers and bass-reflex port speaker. The HP Slate-7 Extreme is re-branded NVIDIA Tegra Note tablet. It has 7 inch display having resolution of 1280×800 pixels. It comes with a stylus based on DirectStylus technology. It comes pre-loaded with many games, apps and access to TegraZone. The Slate Extreme has 16GB of ROM ( internal memory) and 1GB of RAM. The Slate-8 pro comes with 2GB of RAM and 8 inch (1600×1200 pixels display). It comes pre-loaded with Kingsoft Office, File Manager, HP ePrint and HP connected Photo. It also features HDR image capture and Beats Audio. 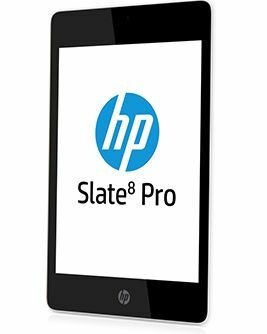 The Hp slate 8 Pro, Slate 7 Extreme, Slate 7 HD, Slate 10 HD and HP Omni 10 (windows) will be lunched on November in US.